A brick warehouse was built around 1900 and served the nearby Mary Leila Cotton Mill. In later years, it was used as a soft drink bottling and distribution center for the Greensboro Electric Bottling Company. In 2013 it was purchased by the Oconee Brewing Company with plans to reuse the space for their brewery operation. In 2014, the city declared it a blighted property. 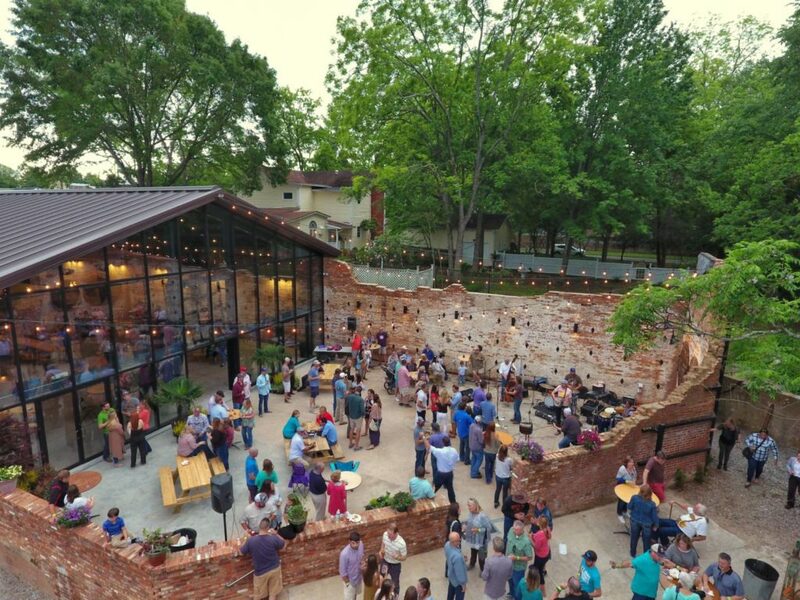 Despite great preservation challenges, Oconee Brewing Company successfully and sensitively incorporated a new structure into a ruined site and today the contrast between old and new is intriguing and welcoming.